Recently picked up, will be modified primarily for laning but still want it driveable on the road. 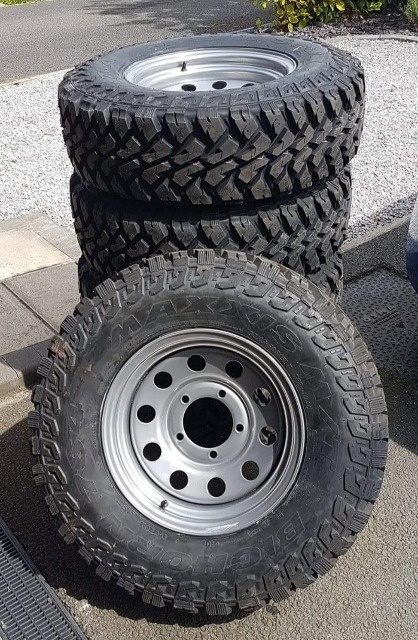 Plans for 30" tyres, lift and winch initially. 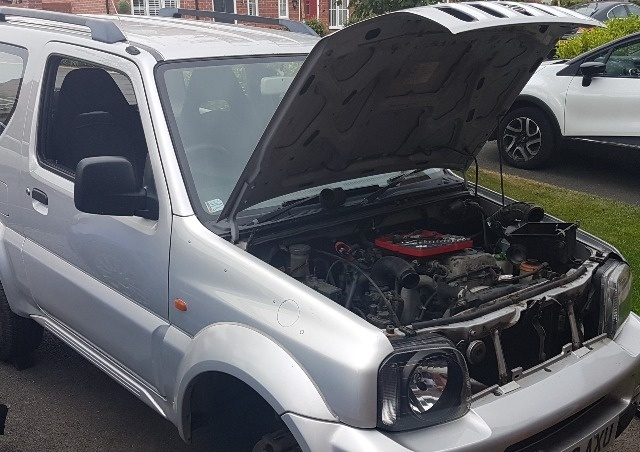 May do 1.6 engine swap and lockers further down line. 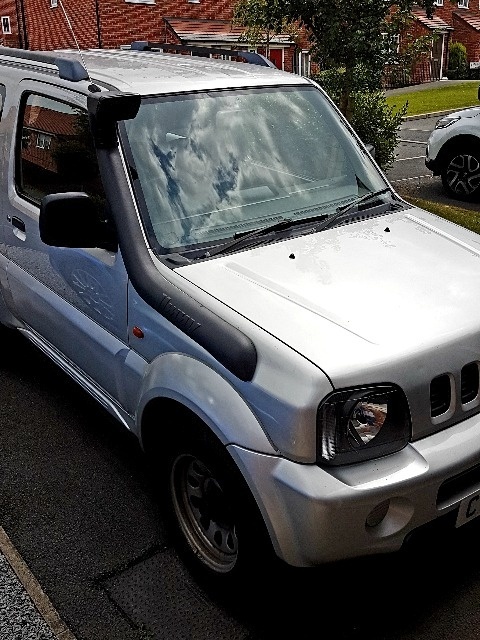 My second Jimny I've owned, this one will be a keeper so want to do it right. 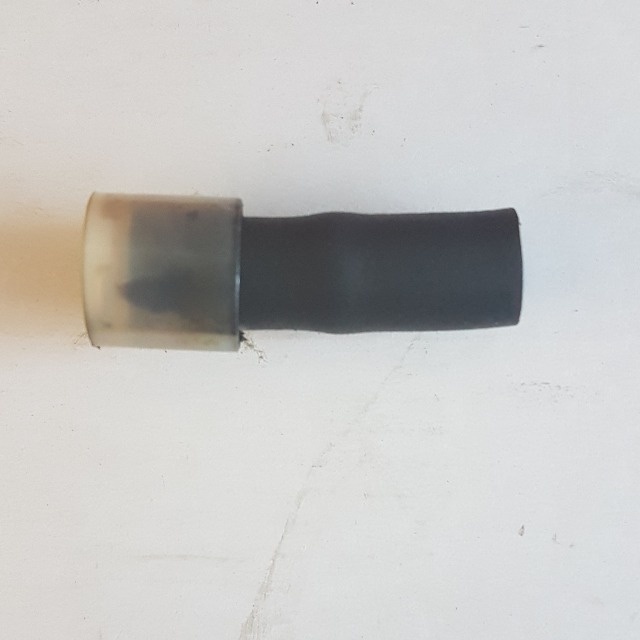 First job was rear lights not working. 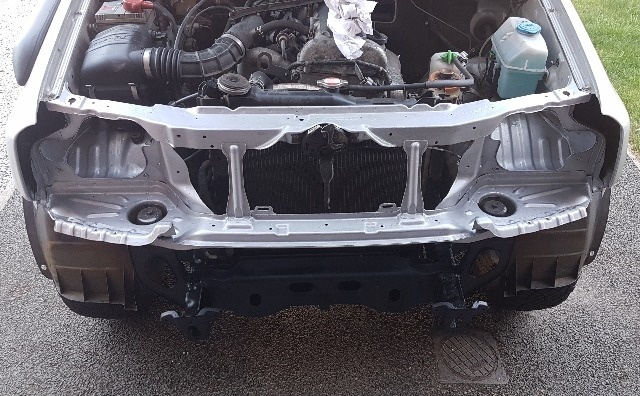 It had a towbar fitted and the wiring had been hacked to bits. 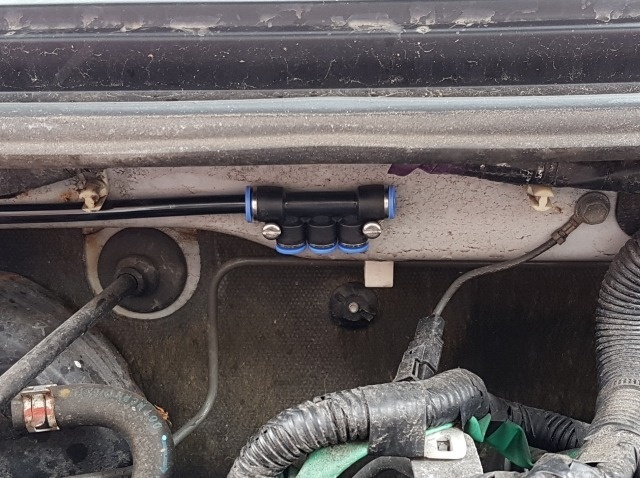 Pulled towbar off and basically remade rear light wiring loom. All working spot on now! Stripped front and rear bumpers off, wheel arch liners out, spent a few hours pressure washing everywhere while the weather was nice, gave it a couple of days to dry out, cleaned all the metal up and painted. Chassis all got coated with underseal. It's all surprisingly solid. Some light surface rust but no major corrosion. Snorkel fitted while arch liners and air box were out. Front off and painted. Behind back bumper got the same treatment. Stripped all the seats, carpets and plastics out. Inside floor cleaned, painted before plastics back in. 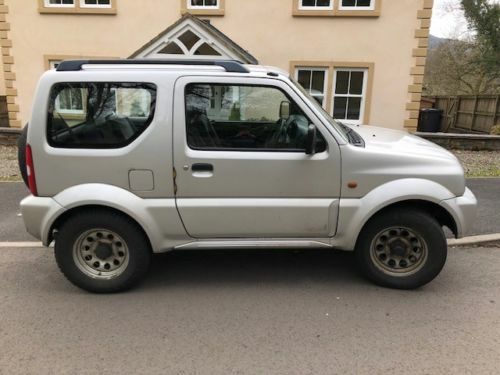 Fitted Subaru Impreza seats I picked up months ago and had waiting to use, have experienced Jimny seats before and knew they weren't for me. Rear seats being left out and will ply line the rear floor. Brake pedal was nearly touching the floor and exhaust snapped just in front of cat. 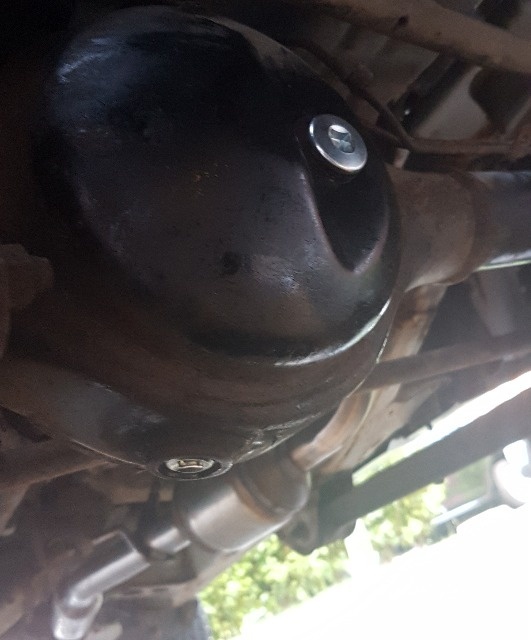 Picked up new exhaust and got that on (doesn't sound like a tractor any more). 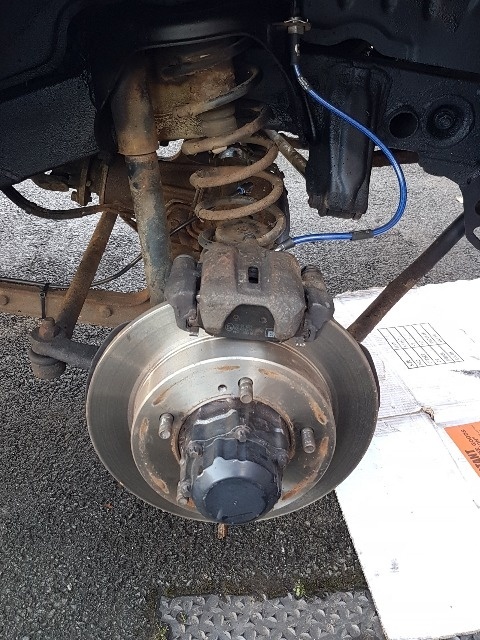 Fitted new discs and pads, will have a rear disc conversion at some point soon but stuck new rear shoes in for now and adjusted up. 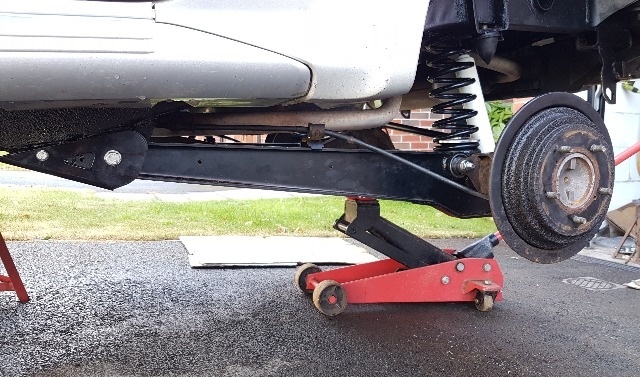 Fitted extended brake lines at the same time in preparation for a lift and bled everything through. Blimey! You don't mess about! Good start! Thanks! I bought your diff guards I think? Oils now changed. 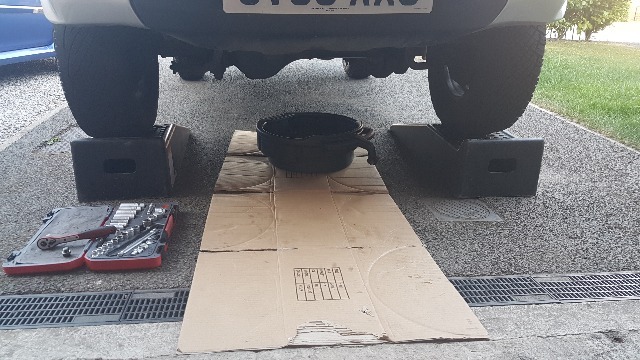 Engine oil was looking pretty awful so running some cheap oil through for 50 miles to flush through then changing to some decent stuff. Gearbox and diff oils done. 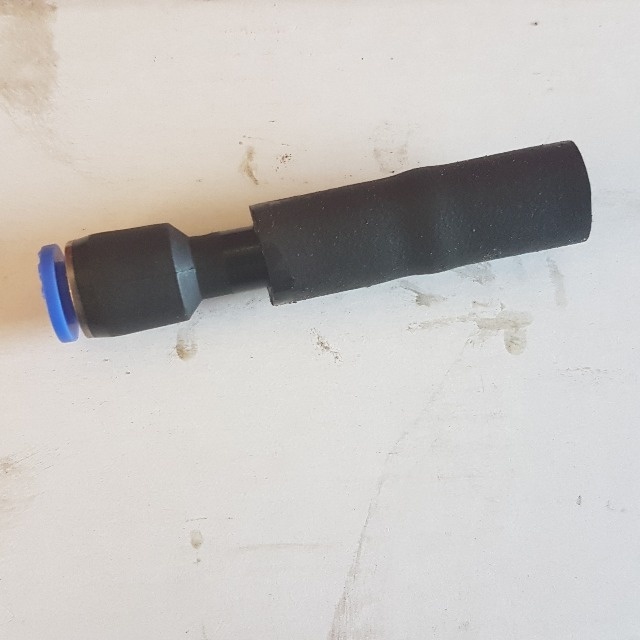 Had some new diff plugs ready from bigjimny shop, ended up taking last ones out with a chisel. Started on extended breathers too. 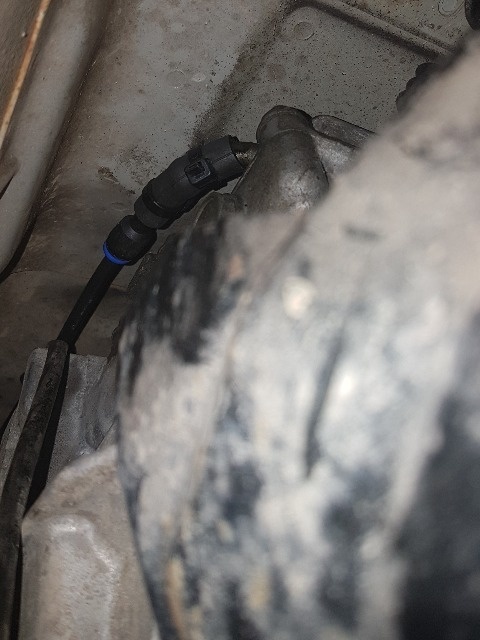 Manifold fixed with a couple of rivnuts, hose on left heads up the snorkel. 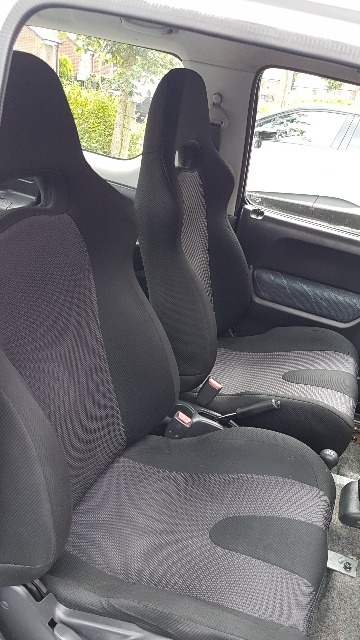 How did the Impreza seats fit? Alot of work? Not too bad, easier than expected. The frames are quite low on them which helped, bit of chopping and a few brackets made up with some 6mm flat bar and 50mm box. Was just a case of offering them up and see what worked. Have you something in mind for gearing changes for the 30" tyres? You will be forever burning through clutches without changing something! Have you something in mind for gearing changes for the 30" tyres? 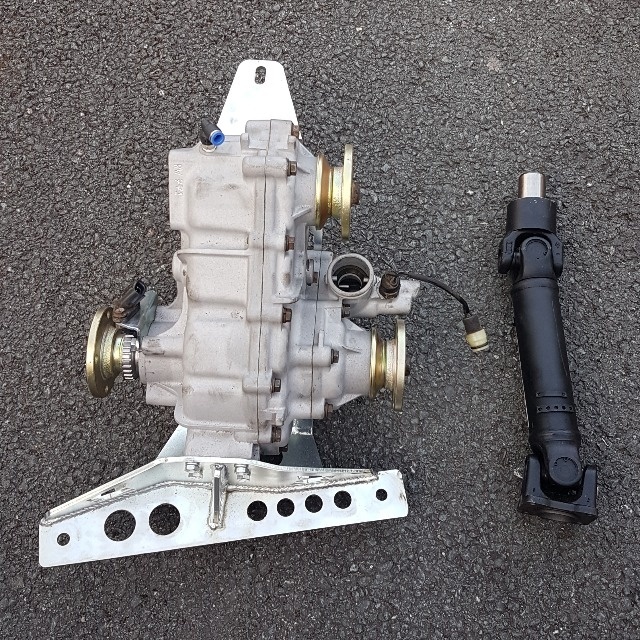 Already had the lift kit, front arms and panhard rods from you James. Went for pro comp shocks, 4" springs, adjustable panhards with poly bushes and front radius arms. Which all came from James (aka j999pre). 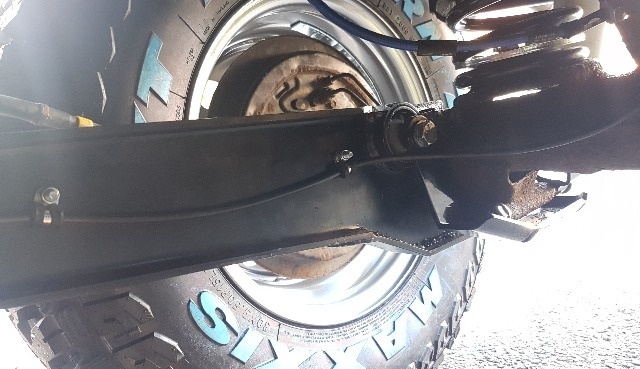 Rockwatt supplied rear spring clamps. One of the radius arm chassis mounts looked like it'd had an encounter with a rock, had to get the oxy-acet out to get that back in to shape. Fitted some JB radius arm guards and rear shock guards while everything was getting changed. Every nut and bolt changed for new ones too, save any issues when it needs pulling apart in the future. 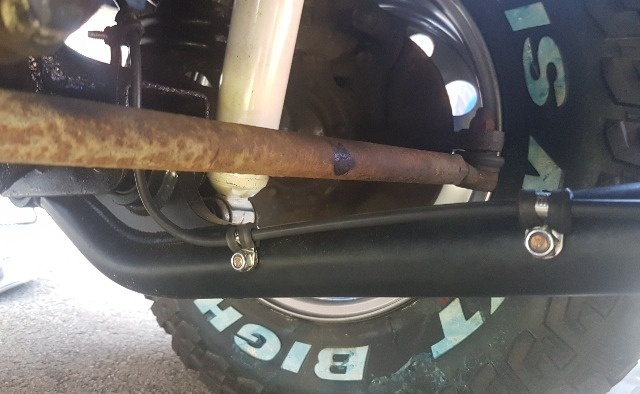 Pulled off the front anti roll bar, seems to be some mixed views on here about it, but going to give it a try. Finished diff breathers, ran hoses with some stainless p-clips along radius arms. Then up to the manifold. 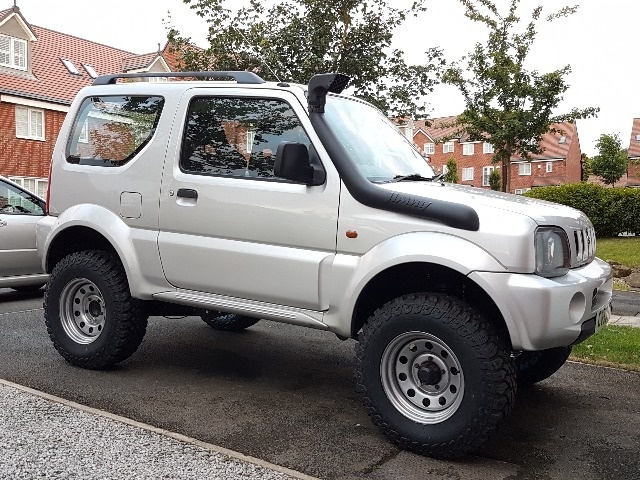 Jimny looks great. 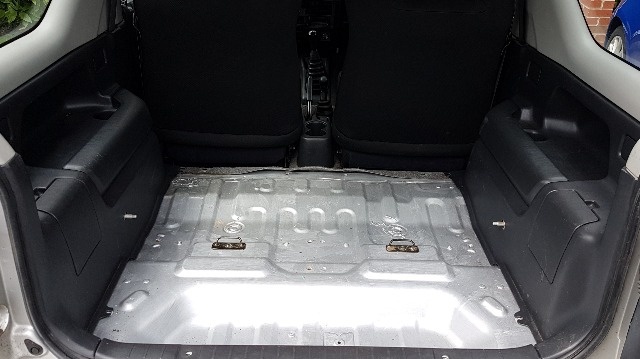 What underbody seal did you use? And how is it like driving on normal roads with those tires?